A browser will judge whether they will use your website within the first few seconds they’ve landed on it, so your website should pack a powerful punch that makes them stay. From there, the journey from browser to customer depends heavily on the aesthetic, functionality and effectiveness of your website as a whole. MediaHeads have a dedicated team of graphic designers and programmers who will build your website from the basics up to assure that you have a unique and impressive website. To see our portfolio of work, click here. The average amount of time spent internet browsing on a mobile device is almost on par to that of a laptop or desktop computer. Therefore your website must have responsive web design so that it can adapt to any screen or capacity. Technecks don’t have time to pinch and scroll their screens. They will lose interest by the time they’ve read the first paragraph on your home page, if it loads properly to begin with. MediaHeads have a working knowledge of how to soothe those teething faults. We understand that internet surfers are impatient, wanting instant results at the easiest convenience. We develop websites that gratify your browsers’ needs and fulfil your design specs. Our responsive designs will automatically alter the layout to suit any size and device capability so that your website is optimised to its max potential. All our websites are tailored to fit in with your existing brand or, if you would like to establish a new brand identity, we can also help you to do that with our Brand Design. 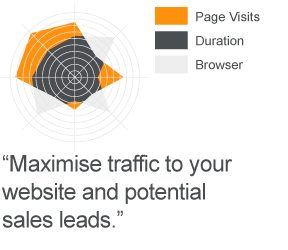 We also offer a range of marketing services such as Search Engine Optimisation and Pay Per Click so that you can see real results. There is no point in having a beautifully designed website if no one can find it. Having a website designed by MediaHeads is quick and easy. 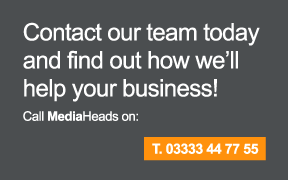 Contact our friendly team on 03333 44 77 55 to discuss your requirements today.